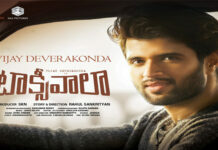 Dear Comrade First Look Poster: Actor Vijay Devarakonda has been on a roll since the success of his film ‘Arjun Reddy’ After his much-awaited film ‘Mahanati’ which hit screens today, the actor is looking forward to the release of his sci-fi thriller, ‘Taxiwaala’ He is also shooting for his first Telugu-Tamil bilingual film, NOTA. 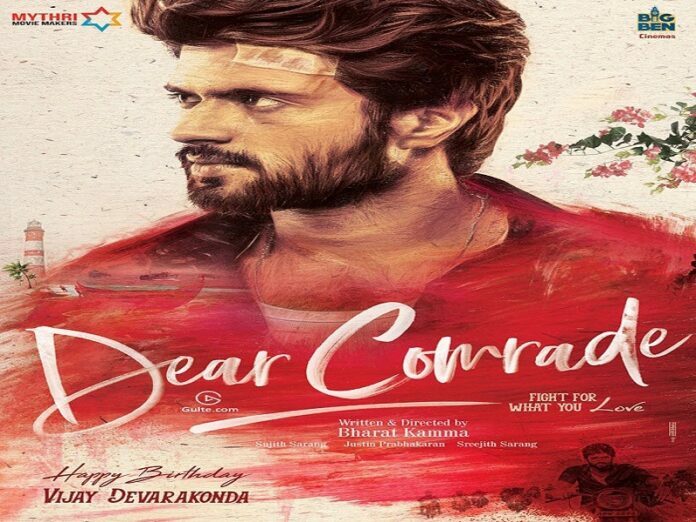 The Dear Comrade First Look Poster showcases Vijay Devarakonda with an intense look. 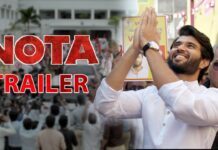 Touted to be an action drama the film’s regular shoot will kick-start from June. 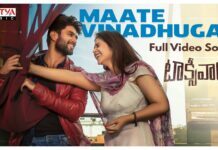 Actress Rashmika Mandanna who was recently seen in ‘Chalo’ has been roped in to play the female lead in the movie.